How do I display the one-time popup warning on the Notifications page? 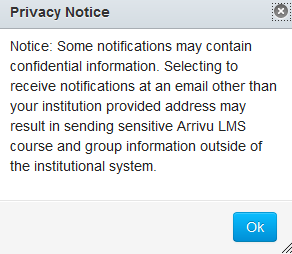 Administrators can enable a warning reminding all users about preferred email addresses for notifications. 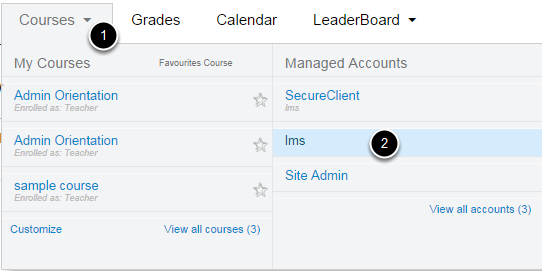 When enabled, the next time users at that institution visit the Notification Preferences page, they will see a popup alerting them that adding a non-institution based email address may result in the exposure of sensitive content. Check the box next to the option 'Display one time pop-up warning on Notification Preferences page'. When users open their notifications page after the setting has been updated, they will see a popup warning. Once they click OK or the X, the popup will disappear and not show up again.